The Outdoor Life Network has come a long way since its beginning in 1995. 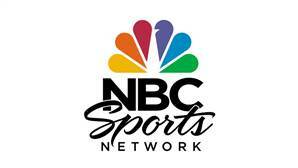 From televising fishing shows and the Tour de France as the signature series, to becoming Versus in 2006 and acquiring the NHL as its flagship sport, to now becoming the NBC Sports Network at 4:00 PM ET today. The official name change happens five months and a day after plans for the launch of NBC Sports Network were officially announced thanks to the Comcast/NBC deal. The relaunch was supposed to begin with a Winter Classic postgame show, but with the hockey game being moved from 1:00 to 3:00 because of weather conditions, Versus becomes NBC Sports Network with a (presumably special) edition of NBC Sports Talk. In the evening, NBC Sports will broadcast a hockey documentary Cold War on Ice: Summit Series ’72 followed by Canucks/Sharks. In place of T. Ocho and Jenn Sterger (pour one out today in memory of all those crazy Versus shows) will be heavyweights like Bob Costas, who will bring Costas Tonight monthly and town hall meetings quarterly to the network. As they were in 2011, NBC will be a major player in any major rights deal that appears on the horizon to load up on live sports programming moving forward. As much as ESPN’s debate shows infuriate viewers, give new President John Skipper credit for going all in acquiring live sports rights. NBC will be under pressure to get NFL games, make a move for the next MLB contract, or another fashionable sports property. For now, the NHL will have to carry the mail for NBC. For as much flak as Versus got for nobody being able to find the channel, NBC Sports Network will launch in 75 million households today. That’s about 3/4 the households that ESPN and ESPN2 are in, so it’s not like NBC is beginning this venture from scratch. But, according to USA Today, less than half of television viewers had heard of Versus. Yikes. The NBC/Comcast machine will have to try to change that statistic quickly in the first year.